Black Plastic Salad Tongs - 2 Ct. Serve your customers in style with this Platter Pleasers PET plastic round catering tray! 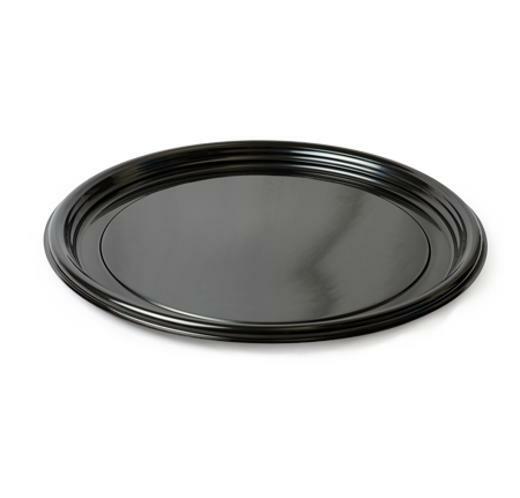 This black thermoform tray is perfect for serving hors d?��oeuvres, appetizers, deli meats, cheeses, sandwiches, and more! This durable tray is crush and crack resistant and will nest with other trays for compact storage. Be sure to give your delectable foods the perfect presentation with this sleek Platter Pleasers serving tray!